The importance of keeping active through sport throughout life is increasingly accepted. This has created increasing demand for sports instructors with a medical background to provide advice to athletes and help to promote better health in general through sport and exercise. The Sports Health Course produces specialists in sports and medical science with a strong desire to assist sporting enthusiasts with their health and boost health levels in general through sport and exercise. 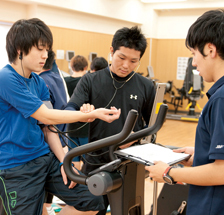 The Sports Health Course produces specialists in the life care field. The curriculum promotes a multi-faceted understanding of the human body based on a strong sense of compassion and a broad international outlook. The choice of subjects varies depending on the final qualification desired by the student, so the first step is to design a course outline. The Year 1 curriculum consists of compulsory subjects (including both common introductory and advanced subjects) as well as introductory subjects relevant to the chosen qualification. The compulsory common introductory subject Life Design covers basic university-level communication skills such as writing and self expression. This is supplemented by elective topics in areas such as bioethics, information and international communications. In Year 2, students choose general and specialized advanced subjects relevant to the chosen qualification. Students also embark on practical topics to develop skills in training settings, including Field Work, Sports Methodologies, Aerobic Exercises I and II and Recreational Training. 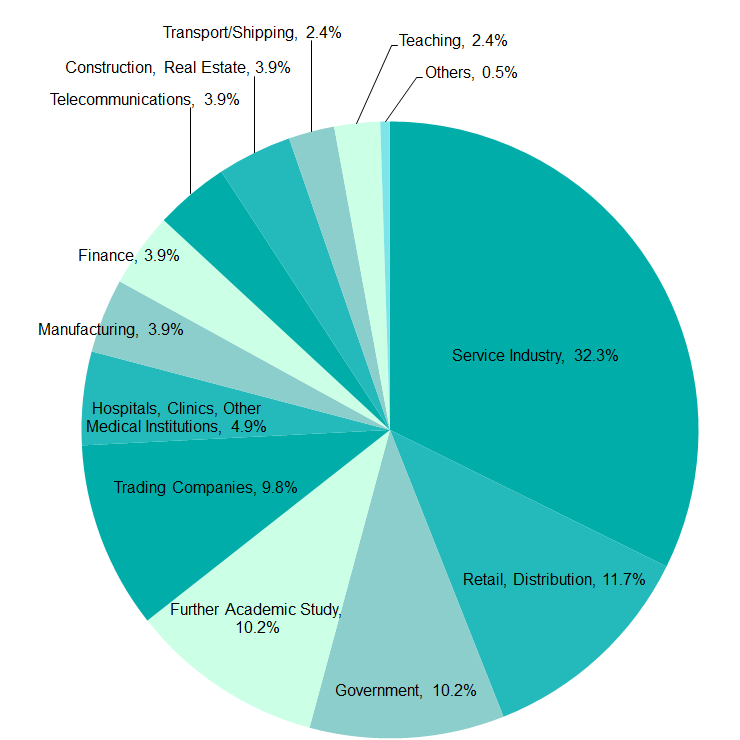 Career-based subjects are also presented in Year 2. Compulsory subjects are completed by the end of Year 2, with Year 3 focusing on advanced subjects and specialized training in the field. Students undertake practical exercises geared towards specific qualifications such as athletic trainer, health and exercise advisor, physical education teacher and recreational instructor. Year 4 applies to study for qualifications (exempting those which are attainable in Year 3). For instance, students training as physical education teachers are required to complete a teacher training component, while those seeking the health and exercise advisor qualification will undertake a Field Training for Advisors component. 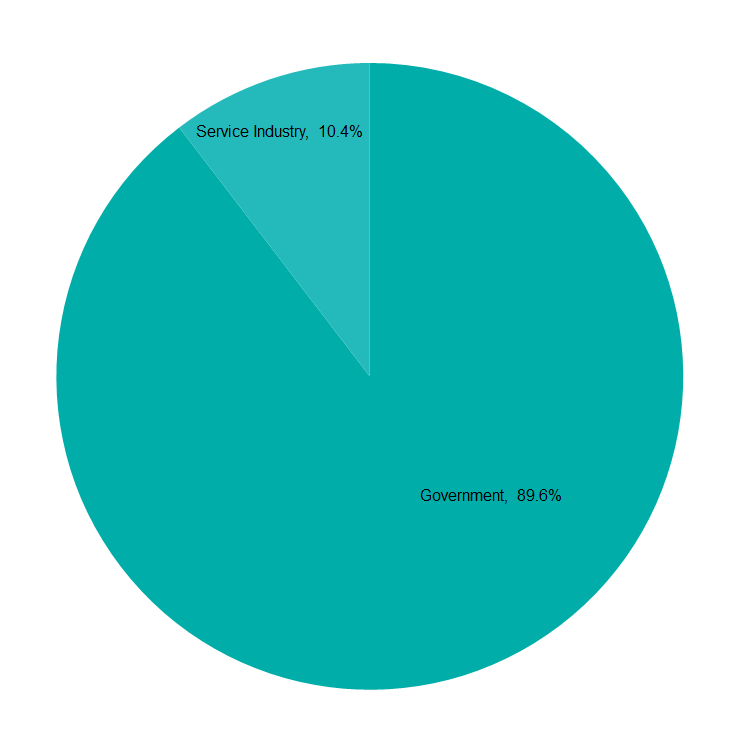 More than 50% of students continue on to work in the service industry, retail, distribution, trade companies, construction, real estate and other such areas following graduation. Amidst rising rates of illness and injury requiring first aid treatment, the demand for skilled paramedics is ever present. Working on the frontline of emergency treatment requires a solid medical background and many advanced medical techniques. 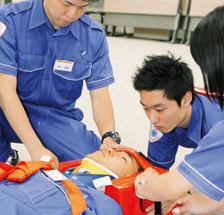 The Emergency Medical Technician Course teaches the knowledge, skills and techniques of administering preliminary medical treatment in the pre-hospitalization phase. Successful graduates will be able to qualify for the National Examination for Emergency Life-saving Technicians. The Emergency Medical Technician Course produces specialists in the field of emergency treatment. The curriculum promotes a multi-faceted understanding of the human body based on a strong sense of compassion and a broad international outlook. Year 1 consists of introductory studies in anatomy, physiology, biochemistry and English along with more advanced subjects such as emergency medicine and internal medicine. Students learn the basic principles and theories of medical treatment as it applies to the modern paramedic. The Human Communication subject, meanwhile, is a broader subject applicable to university students in general, encompassing communication skills, written expression and career design. Year 2 comprises core subjects such as pharmacology, pathology and microbiology together with advanced first aid subjects such as external medicine, internal medicine, brain surgery, orthopedic surgery, and first aid principles and techniques. Students commence simulated clinical training exercises and apply their knowledge to observation, diagnosis and treatment techniques. Year 3 concentrates on advanced subjects such as pharmacology, external medicine, internal medicine, brain surgery, orthopedic surgery and first aid techniques. Through simulation exercises, students learn advanced first aid techniques such as endotracheal intubation and drug administration. Students visit fire stations and emergency hospitals to observe the working environment of the paramedic and the role of the paramedic within the team. The simulation component of Year 4 consolidates the work of the previous three years through further study and application. Students learn about midwifery, treatment of patients registered for designated home medical care, responding to mass outbreaks of illness or injury, and BLS (basic life support) guidance systems for the public. The first aid component consolidates all previous theoretical and practical training in preparation for the national first aid accreditation examination. More than 90% of graduates choose to become fire fighters.